“Almost the entire dance world got behind Binder in this conflict…“, claimed Berliner Zeitung on the day of the double bill evening and reenactment “Café Müller | Das Frühlingsopfer“ and, after the termination of the big coalition of CDU and Die Grünen in the council of Wuppertal, makes a plea to reopen the case and decision made of the summary dismissal of the ex-director demanding later in the very same article to incapacitate the persons responsible while asking “…why doesn’t the federal government intervene?“ as they claim the responsibility was obviously not “in good hands“. It is obvious that in this case there was made more than one mistake only but it also must be acknowledged that it is not the most stupid thing to correct those mistakes once they have been recognized in order to prevent, limit or minimize any potential damage. This can and should be expected from the persons responsible. However, it makes little sense to blame someone continuously for failing when this person already admitted and wants to correct this mistake. The key issue is: was it a mistake to dismiss Adolphe Binder from her position as artistic director of Tanztheater Wuppertal Pina Bausch or rather a mistake to engage her in the first place? In case it will be revealed that the way, extent and tempo of the development process under Adolphe Binder compromised substantially the artistic heir of Pina Bausch and the three-generation ensemble of the Tanztheater that seeks to live and pass on this heir – then there would have been the need to act swiftly no matter how many got behind someone as Berliner Zeitung claims. Included in this observation shall be the “Neue Stücke“ that were developed during this process. Moreover we shall keep in mind the dimension while regarding the discussion in between the cultural manager Adolphe Binder – who wants to sue for rehabilitation – and those responsible for Tanztheater Wuppertal Pina Bausch. If we wanted to send out a message into outer space to give extraterrestrial life an impression of our level of development on planet earth – as we have been doing since 1977 – then a message in the here and now appears unconceivable without the information about the most important artists and their works, in the best recording and display possible and currently available. That the work of Pina Bausch would be part of this mission as a non-verbal message of “who we are and were as human beings“, with her unceasing endeavor to find a language through dance for (the earthly, human and in parallel dimensions existing) life, is beyond question. A SHORT RETROSPECTIVE… WHAT IS THE STATE OF AFFAIRS IN WUPPERTAL? Adolphe Binder, who had been dismissed as artistic director already on July 13 and who had been responsible for the production of “Neues Stück II“, was sitting in the audience, as well for the reenactment of “Vollmond“ afterwards at the Opera House Wuppertal and “Café Müller | Das Frühlingsopfer“. A statement, without doubt, from someone who wishes to become artistic director again as soon as possible as it was also interpreted by the Berlin media (“Triumph of the dismissed director.“ – “Foreign in your own country… the tension in the room was tangible…“). For some – not only those who already have performed on stage once – this behavior in such a fragile field might have felt slightly odd. It shows the quality of the ensemble that at least did not seem disconcerted. Both parties should admit that both will enter the negotiations maintaining their respective position. The honest exchange of views, accusations, reasons, emotions, considerations in a non-public talk might be possibly change the perspectives and positions. The parties had had the time till September 18 to decide upon a mediation to communicate non-publically under the supervision of a specifically qualified judge. From the point of view of the friends of Tanztheater Wuppertal the primary objective for all parties should have been not to damage Tanztheater Wuppertal Pina Bausch and the planned Pina Bausch Center any further. This chance did not take form. First of all because Adolphe Binder declined this extrajudicial mediation. She maintained a position that she already had proclaimed before: she wants full rehabilitation in the position as artistic director. It is highly surprising that after the statement of city treasurer Dr Slawig in the local media who excluded any possibility for a return of Adolphe Binder as directory, that she used this statement to declare under these circumstances on September 18 “that she agreed of course with such a negotiation, … yet does not see any sense anymore therein after Dr Slawig’s comment“. Remarkably, maneuvers as such do not promote the trustworthiness and credibility of the ex-director. In the interest of the Tanztheater many had hoped for a non-public exchange of the positions aiming at achieving an amicable settlement. Yet, even if they missed this appointment now there is still time – and the parties should use it as soon as possible! – Why? Whoever bothered to evaluate the output of a judgement: there is not a single example in which a manager or artistic director was able to sue themselves back into their former artistic positions if the desire was not there on both sides. PRECEDENT – CAUTIONARY EXAMPLE – ONLY LOSERS? After comparing the savings policy of his employer with the cultural destruction through the IS, the city of Rostock’s “certain“ opinion in that case was that further collaboration with such a director was unacceptable. Unlike Adolphe Binder this case was not merely about a position but he fought vehemently against the cuts in jobs and of the dance section at his theater. This director – opposed to the expectations of the city – was given right in all judicial instances until the Higher Regional Court but eventually did not make him a winner. On the contrary: The lawsuit did not leave anything but ruins on both sides – Latchinian is in poor health after going through this legal dispute, his reputation is damaged despite the verdict in his favor and despite the huge wave of verbal and medial support – in social media as well as in the press – for his actions: he is still not back in a new position as director. 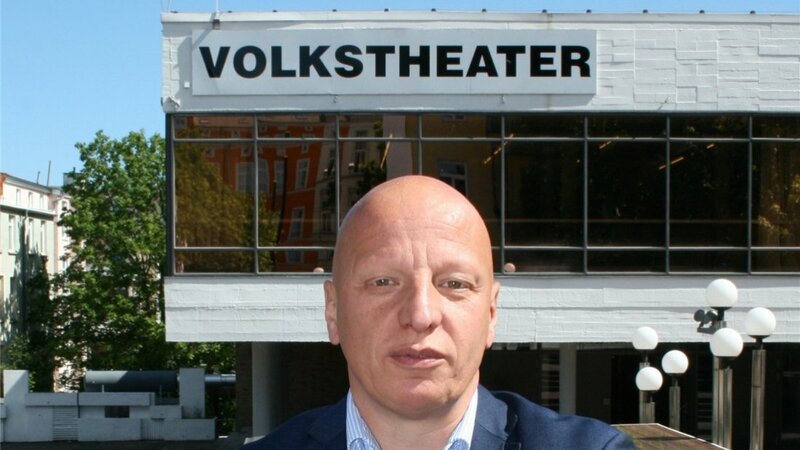 Ever since many artists either left or had to leave the theater while Volkstheater Rostock lost its national reputation until further notice and suffers from massive declines in audience. All parties shall therefore be warned against a “confidence in victory“ in case of a judgement. There will not be any winners here either, regardless of the outcome. …that mostly comes into play when the horse has already left the barn. A contract as an artistic director is usually fixed-term and is therefore valid until the agreed date and cannot be annulled until expiration of the period but only can be terminated prematurely by mutual agreement. When in an employment relationship, especially a fixed-term contract without exit clauses, the medium of a written warning is applied, this triggers a process that almost automatically leads to a summary dismissal if the admonished – unintentionally or intended – continues to commit further supposed or real so-called transgression that may or must lead to further written warnings. The reason for this is the labor law itself that gives the right to the admonished not to take these warnings seriously anymore when they are not followed by consequences. This results in the employer not having any more lawful means to claim his demands. This procedure can only be ended or interrupted via a mediation in between the parties that seeks to solve the conflicts that led to those warnings or both sides try to achieve an amicable separation agreement in case they recognize that there no longer exist the preconditions for a fruitful collaboration. Such a mediation was attempted in the case of Binder | Tanztheater Wuppertal Pina Bausch, yet interrupted by Adolphe Binder. An offer from the side of Tanztheater Wuppertal Pina Bausch to cancel the contract was declined as well by Adolphe Binder. Following the logic of this circle (and upcoming deadlines) the dismissal had to be given notice on the July 13. Otherwise the advisory board either would have had to demand timely discussion in between the parties with all the resulting consequences of a decline or clearly speak themselves out for Adolphe Binder – which did not happen. Why, is not documented officially. This lead consequently to the summary dismissal after Adolphe Binder’s rejection for the annulation of the contract and the countersuit by the dismissed director. After the declined mediation the labor court will now have to clarify if the written warnings were factually justified and necessary and if the admonished transgressions as a whole are enough to give notice if dismissal. Further if a continued employment is reasonable for both the employer as well as the dismissed. This will most likely also include the question of the consequences for the entire company in case Binder returns to her position as director. Which consequences emerge? For all dancers and involved persons that maybe did not explicitly stand up for a return of Adolphe Binder or also for potential refusals from individual artists or coworkers in the administration to further work with Adolphe Binder? The rules of procedure requested by Adolphe Binder that regulates the decision making at managerial level in a productive and reasonable way also does not exist yet. It would have to be first worked out, passed and then accepted. Where there is no mutual wish for a fruitful collaboration anymore, a collaboration cannot succeed. Whoever does not want to acknowledge this experience, acts highly irresponsible and causes damage – to himself and others. It is to doubt that the court wants to or even can evaluate if and how successful, financially as much as artistically, the work of Adolphe Binder had actually been at Tanztheater Wuppertal Pina Bausch, as she always claims. This will be superficially all about the claimed failures and transgressions and about the reasonability for further collaboration. Either way: The price to pay for this real or supposed success would have been too dear as the responsible ones for Tanztheater have calculated,- otherwise the dismissal would not have taken place. 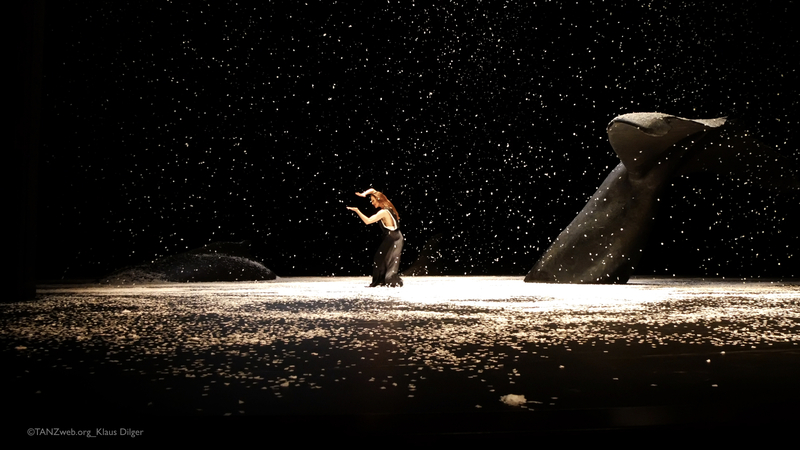 Nobody who understands the importance of the work of Pina Bausch and the ensemble of Tanztheater Wuppertal for dance and for the city would seriously hypothesize a gender conflict as some media suggest. 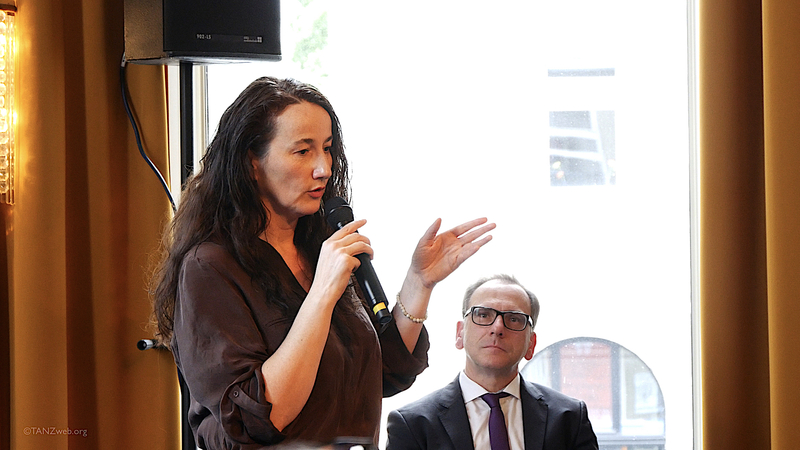 At the first press conference a journalist asked Adolphe Binder, the artistic director, regarding the repertoire program about the coordination process with the Pina Bausch Foundation who owns all copyrights of Pina Bausch’s works. Binder answered that she would decide in close collaboration but that as artistic director she would have the final say. – A first misunderstanding or first striking overconfidence? – Starting her term with this statement left a lasting impression and questions. Also the presentation of her lawyer at the conciliation hearing on the September 4, 2018 that Adolphe Binder nearly would have had “the option on a lifetime post“ is raising doubts on the sense of reality and judgement of the ex-director. If Adolphe Binder failed on the incapability of the others (to adjust) as it is repeated over and over in the media or if it was on her judgement on how to find a feasible and peaceful way for the realisation of her ideas which usually makes companions out of deserved and notable acting persons instead of excluding them. May those ones decide who were internally involved. The required qualities of a director involve finding solutions as such for sure. After starting her term it seems Adolphe Binder was convinced that Tanztheater Wuppertal Pina Bausch, also regarding its management, was in a sleeping state that demanded to be woken up. Other than in the fairy tales there was no attempt to “wake up with a kiss“ but, it felt like, getting a hack on the shin. While the first can lead to a harmonious coexistence, the latter however, especially if the one concerned is not sleeping or does not want to wake up, leads most probably to most violent discussions. If Adolphe Binder was right with her evaluation about the state of Tanztheater or not, does not matter regarding this form of transgression of her competences for which she might have been reminded by the written warnings she received. Whoever feels like may empathize with Adolphe Binder and assume at best that she was acting following her own conviction under the best premises and who did not only feel responsible, in her understanding as a maker, for the artistic section with its new creations and the conservation of the heir of Pina Bausch but also for changes in the entire system “Tanztheater Wuppertal Pina Bausch GmbH“ after starting her term and the thereto related internal view, concluding in leading both as one entity into the future. We do not intend to speculate on who was acting able and who not and why there was not any solution possible in this dilemma. Also not about the question if art requires transgressions of that kind to create the extraordinary, as this does not concern artistic issues but a task to provide the artists with conditions through structures and an open space that enables the best possible art making. This prerequisite of each artistic creation process can only be provided if the artists are protected in a violent-free space against all forms of instrumentalization and polarization. This would be as well a topic for an internal or the declined extrajudicial mediation. Nobody would want to accuse Adolphe Binder of lacking ideas or visions for the future of the dance company – ideas and visions must be, in art as well as in politics and society, realized, shared and come to life. This is not a revolutionary act,- at least not as long as it concerns structures-, but an act that requires skills, intuition, sensitivity and the ability to make decisions, almost like a surgical intervention that calls for precision mechanics and the patience for political and social processes until this persuasion reaches the necessary stability and sustainability. Maybe this sort of sensitivity could have been still developed if only Adolphe Binder would have had more time? Nobody will know for certain. 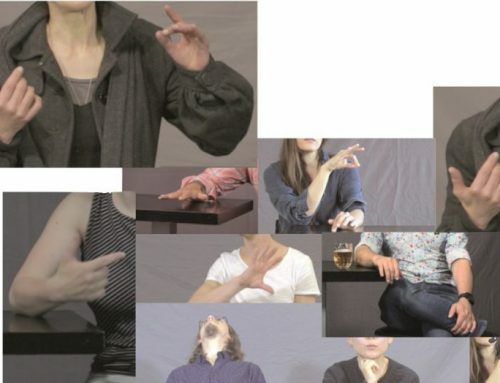 The new visual identity that Adolphe Binder equipped Tanztheater Wuppertal Pina Bausch with in the form of a new website, the handling of photographic material culminating in slow motion passages of the reedited trailers of Pina Bausch’s work, does not speak for itself, regarded subjectively. Even more complex and graver, if not relevant for court, will be the issues concerning the future as here it becomes apparent only through action if the current direction and objective is still meeting the desire and initial theory that Adolphe Binder sketched out enthusiastically before starting her term. Tanztheater Pina Bausch is a special case as the responsibilities of the director also include the development of a fair way to integrate cultural heritage, its art and structures, and also its characteristics and forward-looking potential gently into the teaching of art and accompanies and disseminate it sustainably and fair into the future. This applies in particular to the Pina Bausch Center that could become the first national center for choreography in Germany (and would have to). Therefore the director would have to rely on the trust from the Pina Bausch Foundation as well as the director of the dance department of the Folkwang University and always regain it to ensure a fruitful collaboration which is key for a center of that kind. – Did this happen, was it even build? One of the first tasks of an artistic director is without doubt a clear vision and planning of the possible repertoire pieces – at least until the year of the the opening of the Pina Bausch Center in 2024/25 in close consultation with the dancers of the first and second generation and in collaborative dialogue with the management. There is nothing known about plans or dialogues of this kind. Until today there is not even a program existing for the Pina Bausch year in 2019 when it has been 10 years since her death! Moreover, the tasks include also the selection of outstandingly suitable new dancers, also imagined in three generations, for the living record and passing on of the works of Pina Bausch which for the most part worked tremendously until the artistic direction of Adolphe Binder. Our presumption: “Binder has, at least in one case, engaged dancers without previous audition and therefor also without respecting the say of the experts of Pina Bausch…” was not correct. Because of an injury the dancer could not come to the audition, but was chosen upon the videos by the audition team. What is remarkable is, that newly engaged and without exception only young dancers did not contain a single graduate of the Folkwang University who already grew up with the DNA of Pina Bausch’s works. This might have interrupted the very important “lifeline“, possibly with an impact for many years, on both sides. 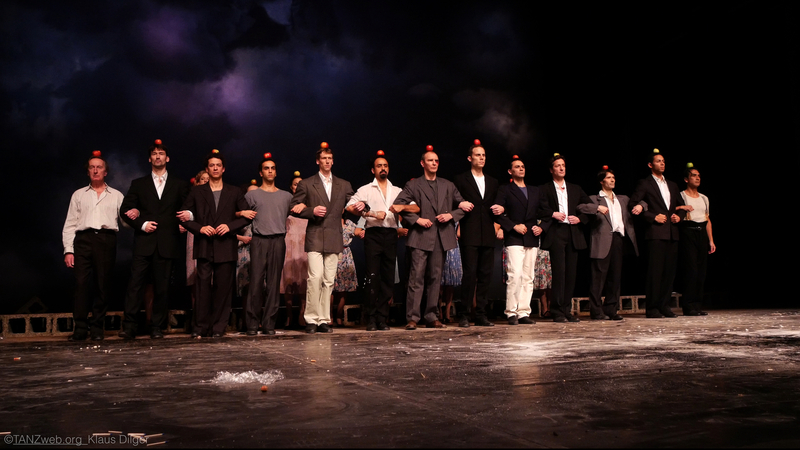 What serious impact such engagement and casting politics may have on the work of Pina Bausch could be seen at an alarming rate in the reenactment of “Das Frühlingsopfer“ on the first November weekend. Skepticism and doubt in the acting and intention of Adolph Binder is here very appropriate. 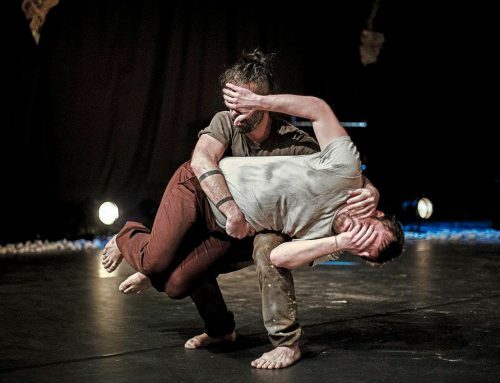 Another task is the selection of outstanding and appropriate choreographers who deal with the topics and questions of today’s life and society searching for a language in new creations and by the means of Tanztheater including an ensemble of at least three generations. The audience received the last season and the two new pieces very well whereas the experts, in particular the dance critics in majority, reacted skeptically in terms of the quality of the works. For the new season no new choreographers have been announced at the current state of knowledge. 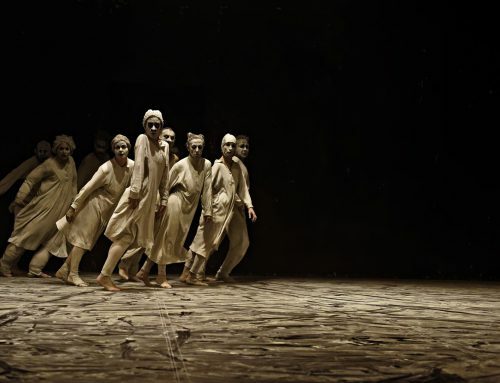 The attempt seemed, obviously with powerful ambition and not very modest, to cover as much in one year of what could affect the “Four-pillar-concept“ of the planned Pina Bausch Center. 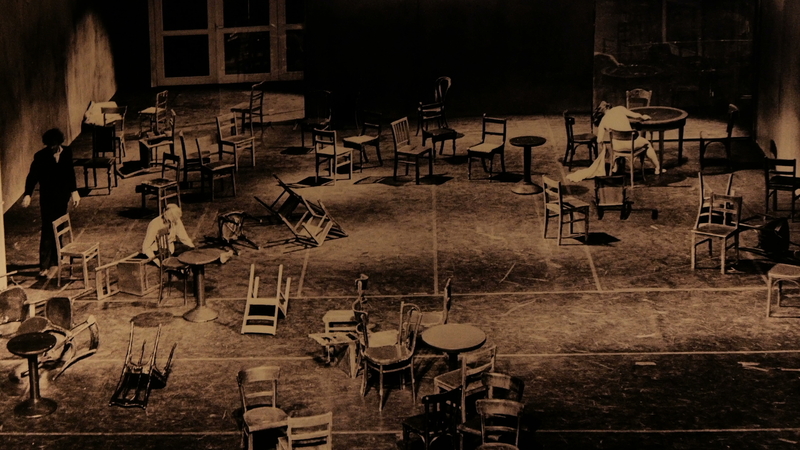 Demands were indirectly formulated regarding the Pina Bausch Center. This may be legitimate and Adolphe Binder also did not make it a secret that this center was an essential factor why she decided to come to Wuppertal. Yet, how she did it might have affronted quite a few. Art does not determine by efficiency, it needs atmospheric preconditions to develop and unfold. If the steamroller makes the right tool should be out of question. One of the greatest conditions for the profound artistic work in dance in Wuppertal is and was the humility with which Pina Bausch created her fantastic oeuvre in this city. Alan Lucien Øyen got to the heart of it when he discovered in an interview for “Neues Stück II“ that he could work with such great freedom as he did not have to prove anything as till today there is nothing that could be ever imagined in dance that Pina Bausch has not already tried. Though she took significantly more time and not seldomly also involved a dramaturge. Both would have served the two new pieces well. Some may dismiss this humbleness as supporting museum or standstill but those should inquiry how much they actually understand about artistic and left alone producing creation processes. Adolphe Binder and also those who called her to Wuppertal do not seem to have given attention to this aspect that much. The past season quite clearly depicted that Adolphe Binder quickly moved away from this humbleness stated at her first press conference and more and more put herself into the center of attention. There are a lot of indications that Adolphe Binder may be trusting on the success of the two new creations of the company and thus resulting in supposedly not having any alternative to her own work and accepted consciously the confrontational decision. A dialogue with the management about style, direction and future the closer the premiere dates came, does not seem to have happened. An agenda regulating the competences did not exist apparently at the time of signing the contract and when Adolphe Binder asked for it, the originally certainly existing relationship of trust was already not intact anymore. In order to define such competences and a promising Modus Operandi will possible latest when the partners want to fill the vacancy of the commercial and artistic direction Tanztheater Wuppertal Pina Bausch GmbH again and this with the best of the best of the respective competence areas. IS THE SUMMARY DISMISSAL JUSTIFIED? Is this enough for a summary dismissal under the inspection of the labor law? Maybe not, this will depend on the weight of the transgressions and evaluation of the reasonability of a return of the dismissed positions, also regarding the expected consequences. Maybe this explains why the persons responsible aimed at a mediation which already could not have been successful because it did not take place after Adolphe Binder’s decline and after also a separation agreement had been declined by Adolphe Binder so they had to – as ultima ratio – give notice of the summary dismissal. With all caused exposure therein lies a great chance to learn from the mistakes made with Adolphe Binder which has top priority. Only like this trust can be regained which will be a necessary precondition for the realization of the Pina Bausch Center with the partners of the federal and state government. First of all the artists of Tanztheater Wuppertal Pina Bausch must be provided with structures that provide support, even if they are only temporary at first, so they can again fully concentrate on their artistic work. The need a clear perspective that goes beyond mid-terms also in regard of new creations as a result of the persons acting in the future and the realization of the planned Pina Bauch Center. There is no reason to doubt the necessity and sustainability of the company or the planned Pina Bausch Center in Wuppertal. Yet, clear signals must be send out, especially from the city, that leave no doubt on the desire and the capability to succeed. These signals must reach the essential partners of the federal and governmental state but also the people that finance this project and the artists of all around the world – as without their art and skills nothing will come to life here. The clear and also written confirmation of the minister for culture and science of the federal government, Mrs Pfeiffer-Poensgen, proves that the culturally responsible of the city are also doing their homework and will provide, apart from the proportionate construction costs and the already agreed subsidies for the operating costs of the Pina Bausch Foundation and Tanztheater Wuppertal Pina Bausch, support to bear the costs of the calculated shares of yearly 3.4 million Euros for the planned center. And further ensuring: “In case the city Wuppertal should not be able as Stärkungspaktkommune to ensure the envisioned freedom of debt agreed by the local authorities of the state for 2021, the ministry is basically willing to release the city with the coverage of the operating costs that would extend the currently foreseen level of additionally 3.4 million Euros per year“. By doing this the state paves the way for the city of Wuppertal to pass the urgently necessary implementation decision for the Pina Bausch Center still this year at the city council and the preconditions to negotiate with the federal government about its investment in the operating costs. 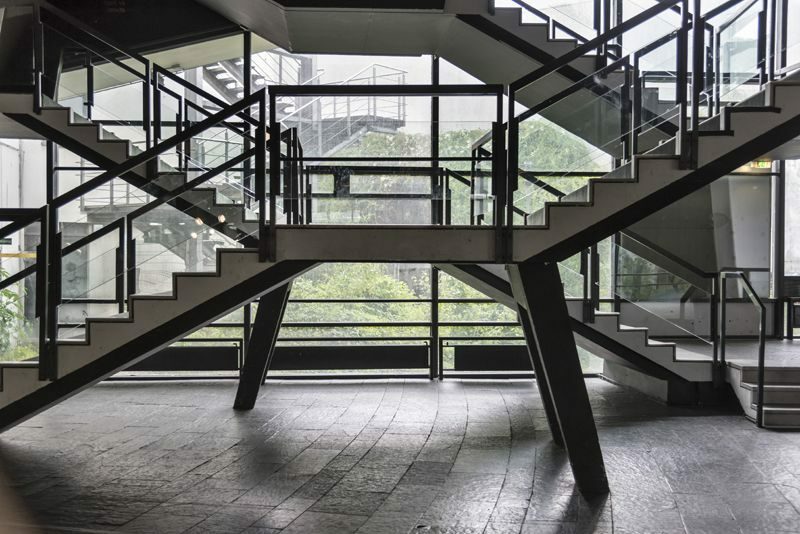 Wuppertal can and must become the city of the first national center for dance and choreography in Germany. Such a center, as it can only be found in France till now, is long overdue. Even if this is not officially expressed yet: there is a consensus among most dance experts that North Rhine-Westphalia and Wuppertal with the worldwide important dance maker and icon of world reputation, Pina Bausch, must become the location for this center (also if Berlin is left with envious nodding). It is in particular imaginable in collaboration with the Folkwang University for Dance (and the other arts) with its long tradition that shaped relevantly the development of dance, not only in Germany. 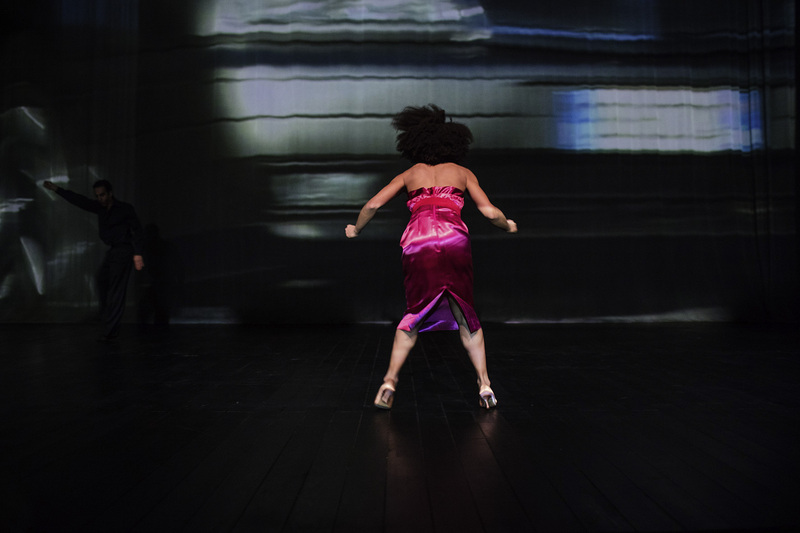 – in interaction with the other competence center for performing arts in the field of set design, scenography, film, digital research and practice culminating in scenic research and the research and development of qualitatively new ways to enhance the visibility of dance. Now it is at the council to achieve a concordant decision for the realization to send a clear signal to the federal government. CLARIFICATION ALSO NEEDS FORMALITIES – the end does not justify the means! This also belongs to a development: mistakes must be investigated and admitted while still being ready to take responsibility. 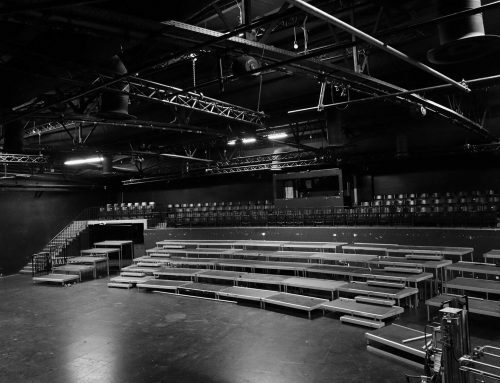 Those who carelessly instrumentalized the media in the past weeks and months and thus did not only cause damage to the respective persons but also to Tanztheater Wuppertal Pina Bausch by specifically passing information to a “public“, which were not public at all at this point of time, disqualified themselves. Whatever their motivation might have been, they will have to explain themselves. A complaint against unknown has already been filed by the city and affidavits were submitted. Of course those among the media who let themselves be instrumentalized by not thoroughly researching are to big parts liable for the damage of the reputation of the parties concerned, including Tanztheater Wuppertal Pina Bausch.